Thank you for choosing to book your appointment with Sasheen Makeup Artistry! We can’t wait to make you look fabulous for your special event! Please use this tool to book your appointments! Please keep in mind that I travel for most appointments to your home address! If I am very booked I may be at a salon location and ask you meet me there! YOU MUST ADD YOUR ADDRESS INTO THE NOTES SECTION WHEN BOOKING YOUR APPOINTMENT! 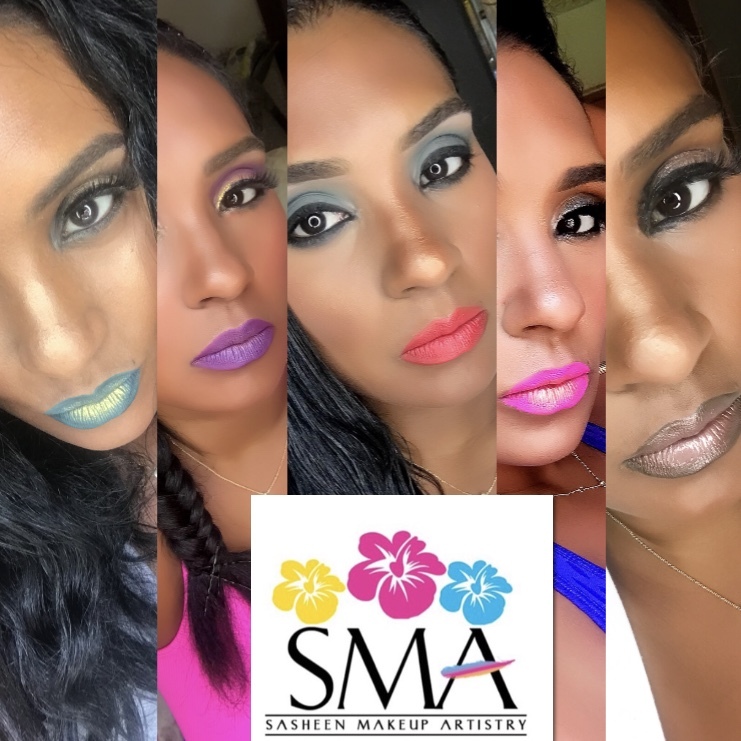 Our Special Event Makeup Application is our most popular choice for clients who rarely wear makeup but would like to have a new look for a special event they’re attending. We use moisturizer, brow fillers, foundation, eyeshadows, lipsticks and Blush to complete your look! Wanna look fabulous bringing in 2019? Well you’ve come to the right place! This full makeover includes lashes! !Sasheen Makeup Artistry will have you looking absolutely fabulous on this evening and your makeup will last all night long!! Book now before we get booked!! For anyone who wants to learn the art of placing eyelash extensions this class is for you! I carefully teach you all of the training that’s needed to ensure you do eyelash extensions on your clients properly and beautifully! Usually 3 classes recommended! Our Photoshoot Makeup is customized for you and your skin to look amazing in front of the camera! Anyone who needs professional photos taken for any events should definitely choose this option! We enhance your facial features and make sure your skin looks flawless for any photos you’re going to be taking! This Makeover is specially designed for moms to be! We add a lil extra highlighting and a lil extra contouring to make you look flawless for your Baby Shower or Gender Reveal party! This 2 hour class is designed for the Amateur makeup beginner. If you love Makeup but just can’t figure out how to make your eyebrows look perfect, or want your skin to look more flawless- this is the class for you! We work with Makeup you already own and add tips and tricks to help you feel confident the next time you wear makeup! We spend 4 hours going through all of the basics of creating a flawless makeup look! If you feel you need more time to learn as much as you possibly can about makeup Application then this class is definitely for you!! Bring your makeup and we will make suggestions to add to your kit! This class is designed to help you learn the basics of Professional Makeup Application. Sign up today!! Don’t wait! Just to get the basic #makeup #products to complete your daily makeup routine! We are going to walk through the makeup store of your choice hand in hand to choose the basic products you need for your daily makeup routine! It’s your big day... and you have been dreaming of this moment your entire life! We will make you not only look stunning as you walk down the aisle... but also feel calm and confident with your beautiful makeup look! We apply a little bit of extra contouring, highlighting, and magic to make your skin and face look truly flawless for your big day! You will definitely be ready to say I do after we finish glamming you up! Perfect for a Bridesmaid Beauty Look! Our Bridesmaid Makeup Application is created to enhance your facial features for the day of the wedding. Adding a soft natural look to the skin we will make you look perfect for the wedding photos for any big day! This type of makeup is usually specifically intended for Indian weddings. It is a glamorous bold look with beautiful flawless skin and bold colorful eye makeup! Choose this look if you love a more dramatic makeup look!